A little bit of history: Although Scrikss fountain pens are now produced in Turkey, this wasn’t always the case. Originally, the pens were produced in Spain for the Turkish market and the word ‘Scrikss’ derives from the Catalan verb ‘to write’, scribir. This particular pen, the Noble 35 in ‘titanium’ finish, was introduced to their fairly extensive range of fountain pens in 2014. 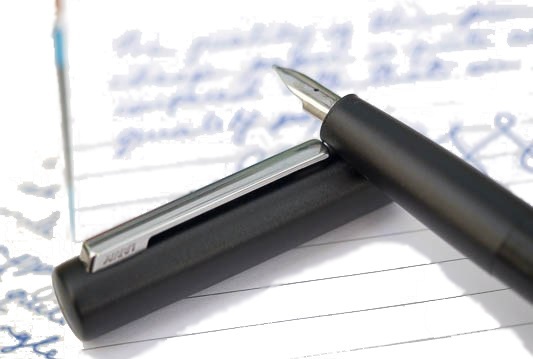 How it looks: Initially one might be tempted to head for a fountain pen with a bit more obvious pzzazz, but its classic styling is reminiscent of a Cross or Sheaffer and the mix of chrome and titanium-plated finish urges you to look more closely. 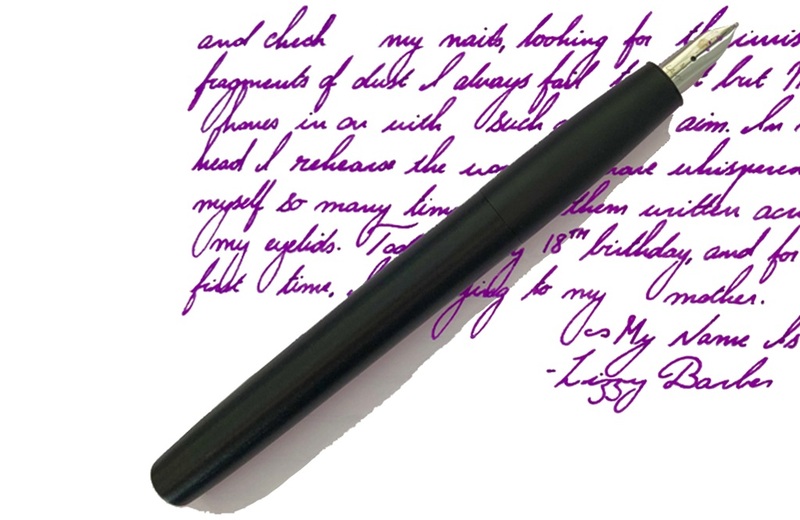 The nib is not too shabby either – steel with an iridium tip, in medium only. The Noble 35 is available in a variety of finishes, including a pearl white, so check out their website to see the full range. Remember to click the EN language option (just underneath their logo) or you’ll have to puzzle your way through the Turkish language version. 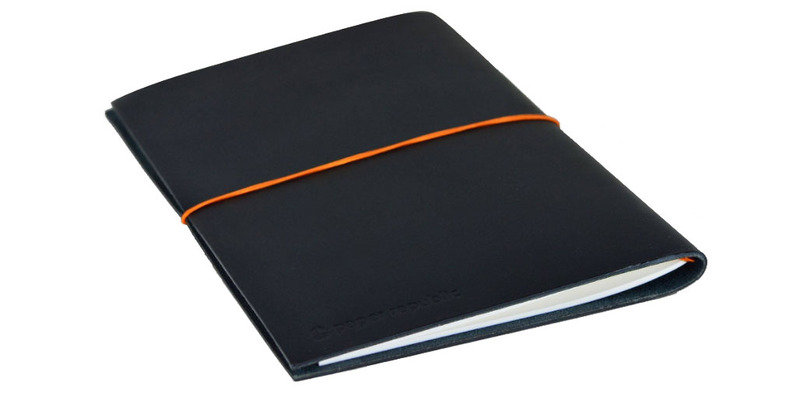 How it feels: Light, sturdy and comfortable in the hand. Crucially, how it writes: As well as any pen in the Diplomat range. 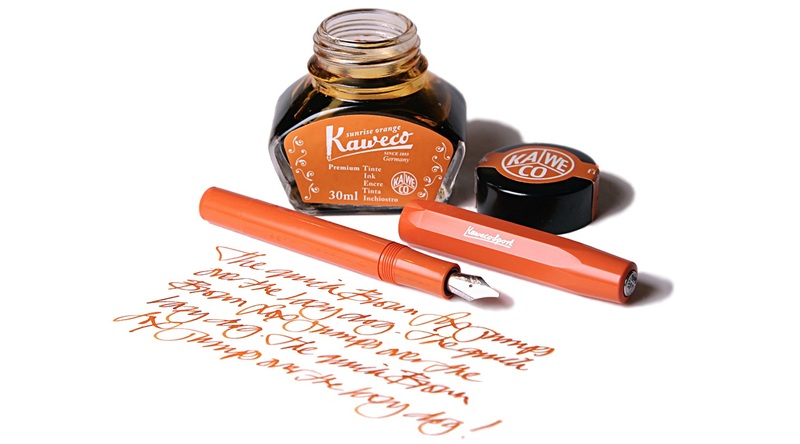 It has some bounce from its flex nib and gives a juicy inky down-stroke and a finer upstroke. Pens! What is it good for? 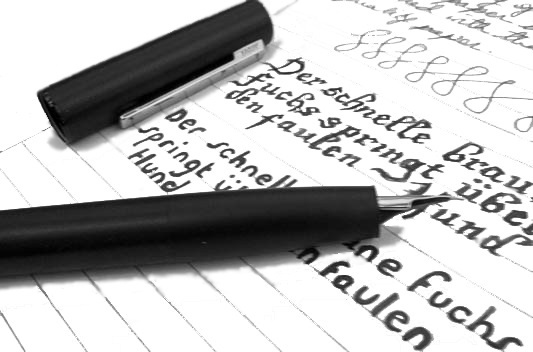 : With a 99 year warranty on their pens, Scrikss appear to have confidence in their products and so should you; the Noble 35 shows itself to be a trustworthy and reliable performer for everyday pen use. Ideally wielded by: The discerning fountain pen fanatic in their business environment – the Noble 35 in this titanium finish is understated and svelte – and to those in the know, you will have the kudos of writing with a little bit of ‘Turkish delight’.